Did you realize that there are at least 5 different ways to earn us Boxtops dollars? We have earned $980.03 during the current school year utilizing 4 out of the 5 sources. These funds come directly to the PTG in the form of a check which is then put directly into our school in the form of teacher support, family activities, school events, DARE... and many more functions throughout the year. The main way to earn Boxtops dollars is through the standard clip and earn method. You may be surprised at the wide variety of products that earn box top dollars. It is not just your standard food products, but also office supplies, paper products, storage bags and much more. Check out the list and keep your eyes out for the box tops logo... clip and send in to the school with your child. Next, you can register with Box Tops to do your online shopping with vendors like Walmart and Target through their portal and earn money for our school. If you are going to shop with these vendors online anyhow, please consider going through the Box Tops website and letting the PES PTG reap the rewards. The third way to earn some bucks is through the Click 'n Earn program. Box Tops periodically has a new offer (such as signing up for coupon newsletter from Pillsbury) and by completing that simple task, you earn 5 Box Tops for the school. The 4th way to earn is to make your online Barnes and Noble shopping through Box Tops. You earn 6 Box Tops for every $10 you spend with Barnes and Noble. 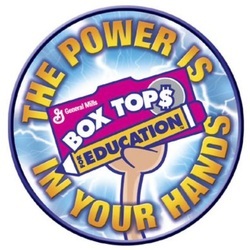 The second biggest earner (behind the clip and earn method) for Box Tops is the method where the local retailer (such as Shaws) offer Bonus Box Tops when you buy certain items. This method will typically give you a coupon from the retailer where you come home and enter a number into your computer for a large amount of bonus point. 18 contributors so far in the 2011-2012 school year have submitted $297.50 to the PES-PTG using this method. We are averaging $981 per year (over the last 4 years). We would like to set a goal of $1500 for the 2012-2013 school year... can YOU help??? ?